La Roche-Posay Anthelios Ultra Light Sunscreen Fluid for Body SPF 45, 4.2 oz. 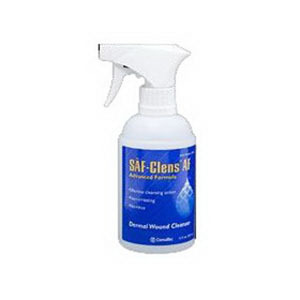 SAF® AF dermal wound cleanser is a surfactant-containing formula that washes away debris that saline may leave behind. Its no-rinse formula saves time and its nozzle adjusts from stream to spray for varying wound cleansing needs. Especially effective at removing adherent debris without damaging delicate tissue.